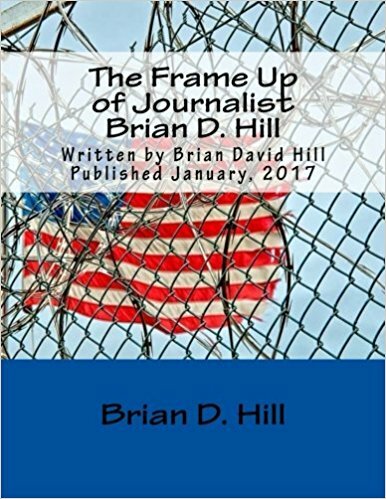 Friends of Brian D. Hill of USWGO Alternative News are fighting to expose what happened to Brian a victim of the Federal criminal CABAL. The truth is finally coming out regarding the corrupt Federal Prosecutor known as Anand Prakash Ramaswamy, aka AUSA Ramaswamy for short. This post shall expose the direct Subornation of Perjury by AUSA Ramaswamy on or about the date of June 30, 2015 against his victim Brian David Hill. Former U.S. Congressman Virgil H. Goode [Left] and Brian D. Hill [Right]. Goode had also aided in the campaign of U.S. President Donald John Trump in Virginia. This quote has been regurgitated here for posture. Browse to the bottom of this quote for the evidence and cited sources. It was revealed in Brian David Hill’s case under the motion to vacate, set aside, or correct a sentence by a person in Federal custody (2255 motion) federal lawsuit (Brian David Hill v. United States of America), pursuant to Title 28 U.S. Code § 2255 (Federal custody; remedies on motion attacking sentence) that United States Probation Officer Kristy L. Burton, Western District of Virginia, Danville division, has committed one or multiple acts of perjury and/or subornation of perjury. USPO Burton has lied in open court on June 30, 2015. She did this to cover up improper misconduct between Judge William Lindsey Osteen Junior and herself by the initiation of ex-parte communications that violates the professional ethical standards of Federal and State Judges as established by law, Constitution, rules, and ethics standards and practices. Judge Osteen manipulated Kristy Burton to target Brian and demand that he stop using a cell phone and not even be allowed to text his own lawyer which criminally deprives him of his rights and privileges under Title 18 U.S. Code § 242 (Deprivation of rights under color of law). Not just that but then she covered up her original order and then lied to the Court that the Federal Court Clerk’s office had ordered Brian to stop sending documents to the Court and that he threw a temper tantrum while sitting in a chair over that issue and did not comply. The truth was that he told her that he agreed not to text message the Federal Judge about his actual innocence and not to text message the Clerk’s office. While Brian was one home detention and electronic monitoring for six months, Brian had recorded every phone call that he made between him and anybody in the Government that was legally valid under the one party consent statutes of Federal wiretapping Law, Virginia wiretapping Law, and North Carolina wiretapping law. He finally admitted to recording the call between him and the Federal Court Clerk’s office in his Declaration regarding Kristy L. Burton lying on the stand and that the United States Attorney asst. Anand Prakash Ramaswamy had been given prior written warning with valid information regarding her lying on Federal Court record. It was all ignored by the Department of Justice and AUSA Ramaswamy had allowed her, coldblooded like a demonic snake, to lie in the presence of Brian D. Hill and his court appointed lawyer Renorda Pryor, even to the extent where she was angry. Brian has proven that she did commit perjury, that Edward Cameron or Kristy L. Burton has committed perjury and/or subornation of perjury depending on how the lies were spread onto the Federal Probation records and onto Federal court record. The intent of AUSA Ramaswamy willing to commit the crime of subornation of perjury, that he knew that one of his key witnesses were going to lie in Federal court and had done it anyways to pursue more fictitious evidence against frame up victim Brian David Hill. AUSA Ramaswamy was wiling to commit one or more federal crimes to win his cases and get what he wants, without any consequences. AUSA Ramaswamy in in this instance has violated Title 18 U.S. Code § 1622 (Subornation of perjury) and because the intent was to put false information and influence the Federal Probation Office to punish Brian, it may also be another count of Obstruction of Justice by intending to put false information regarding Brian David Hill onto a Federal Judicial agency records regarding any criminal conduct allegations against Brian. Asst. United States Attorney (AUSA) Anand Prakash Ramaswamy, on June 30, 2015, presented a fraudulent case based upon the false testimony of United States Probation Officer (USPO) Kristy L. Burton. She is a Federal Probation Officer under the United States District Court for the Western District of Virginia (WDVA), at the Danville regional office in downtown Danville. Usually when a witness of the Government lies, it doesn’t matter what actually happened at the time when any witness lies because if a witness can lie about one thing then that witness can freely lie about anything without consequences. Regardless of whether Brian David Hill aka Brian D. Hill had an autistic meltdown while sitting on the chair while USPO Burton was ordering Brian not to text message anybody including his lawyer while Brian was fighting continuously to prove his actual innocence. USPO burton was trying to derail his battle to prove actual innocence, likely because she may have personally felt that Brian was guilty of his conviction and that Brian was rightfully convicted in Federal Court. However evidence in his 2255 and all of his miscellaneous Pro Se filings show a different story. First of all, Brian D. Hill aka Hill (or Brian) had filed a Declaration in support of his claims of facts regarding his actual innocence (CourtListener) inside of his Section 2255 motion to vacate, set aside, or correct a sentence by a person in federal custody. The federal case file Document #137 concerning USPO Burton are stored in the Internet Archive and CourtListener (text OCR scan of that document). USPO Burton had initially made the claim that Brian D. Hill had been sending documents to the Court (via Multimedia Messaging Service (MMS) according to deep analysis), that the Clerk had asked him to cease this behavior and he had not complied. So according to USPO burton herself from her testimony at the June 30, 2015 Supervised Release Violation hearing transcript (text OCR), the Clerk’s office contacted USPO Burton regarding Hill not complying with the Clerk Office’s request to cease his behavior. Brian had recorded the phone call between him and Joy Daniel of the U.S. District Court Clerk’s office that was the Deputy Clerk over Brian’s entire criminal case and all matters concerning his case involve her as his case manager for the filings throughout his case prior to Brian filing his 2255 motion. He made a transcript (Exhibit 1)(text OCR scan) and he also had recorded the conversation (legal under Federal and state statutes regarding 1-party consent to record a phone call at the time) and filed an audio disc as evidence. Apparently Brian had decided to interview the Clerk to ask her questions like what would normally be asked to a witness in a Courtroom during a trial or hearing. He asked her if he was compliant and that the Clerk admitted that the order concerning the method of his filing with the Court through MMS didn’t come from the Clerk’s office but that “it came from the Judge” referring to Judge William Lindsey Osteen Junior. From how the interview had went, it appears that the Deputy Clerk had never contacted USPO Burton in regards to Brian’s inappropriate filing through usage of a cell phone using Multimedia Messaging Service. Brian had also appeared to have sent a last text message stating that he will comply with their proper filing rules and procedures (Exhibit 4)(text OCR scan). Meltdowns are part of Autism and are misunderstood as simple temper tantrums that are thrown by little kids when they can’t get their way. USPO Burton fully misunderstood and was offended by the autistic meltdown of Probationer Brian and treated it as a form of disrespect towards authority so she repaid his meltdown by lying about one or more material facts to try to get his Supervised Release revoked, throw Brian in federal prison for up to two years, and six months of federal halfway house, and mandatory group counseling meant for the sick and dangerous criminals that were a danger to society. Brian was even nice enough to apologize to her via FAX and voicemails, and he even offered to follow her unconstitutional and illegal orders (Exhibit 3)(text OCR scan). USPO Burton is heartless and is a villain in this part of the criminal case. Brian had even warned the Probation Oversight Branch of the Administrative Office of the United States Courts (Exhibit 6)(text OCR scan) about USPO Burton lying in his attempt to stop him from being forced to serve an unlawful and unconstitutional six month home detention and mandatory GPS tracking bracelet and electronic monitoring. Brian even received a response (Exhibit 2)(text OCR scan) from Hubert J. Alvarez, Program Administrator, Program Oversight Branch, of the Probation and Pretrial Services Office (PPSO), dated July 14, 2015. Even witness Stella Forinash, Brian’s maternal grandmother, brought up what had really happened as she typed her statement up (Exhibit 5)(text OCR scan) and is willing to testify under Affidavit as she believes that Brian is actually innocent of the crime according to my deep analysis into all court documents. Anyways, the entire Declaration under Document #137 (PDF and OCR scan text) explains that he had filed Pro Se motions, Declarations, and misc. evidence prior to the Supervised Release Vocation Hearing that was on June 30, 2015. OCR will not matter for those as they were handwritten while Brian was wrongfully sitting in Forsyth County Detention Center in Winston-Salem, North Carolina. So I shall give you links to his Pro Se filings while he was in jail warning the Court and AUSA Anand Prakash Ramaswamy about the lying of material fact or facts by their key witness USPO Kristy L. Burton. Only PDF files are available for the written Pro Se filings not typed up. There is all of your proof folks, Brian D. Hill has proven to the United States District Court, for the Middle District of North Carolina (case no. 1:13-cr-435) that USPO Kristy L. Burton has lied on the stand and has given a false material fact to United States Supervisor Probation Officer Edward Cameron of Greensboro, NC. They were both in on it since they both allowed the lies to go unchecked. Both of them have committed federal crimes of violating Title 18 U.S. Code § 1622 (Subornation of perjury) and violating Title 18 U.S. Code § 1621 (Perjury generally). The evidence proves beyond a reasonable doubt that both of them should be tried before a Federal Court under the either statute or both statutes. Both of them are criminals and should be charged and arrested. Brian should receive an written apology and Brian should receive restitution from both of them and from the AUSA Ramaswamy that prosecuted the fraudulent witness perjury or perjuries. AUSA Ramaswamy has also violated Title 18 U.S. Code § 1622 (Subornation of perjury) as he was warned about USPO Burton ;lying about one or more material facts via lawful written Declarations and further evidence came out that proves Brian’s claims. Ramaswamy is also a criminal that should be charged/indicted, arrested, and tried before a Jury. The Department of Justice should appoint Special Counsel to investigate AUSA Ramaswamy to determine whether he should be charged for this misbehavior and misconduct. He fully accepted and used a witness that has already been caught lying about one or more material facts. They don’t care about the truth when prosecuting Brian David Hill for any alleged criminal violation allegation. AUSA Ramaswamy will break any law as he sees fit to get what he wants and ruin the life of an innocent man. I rest my case. Thanks to Brian filing these Pro Se filings, this information is out there, easy to get to, and the truth can easily be looked at and researched. AUSA Anand Prakash Ramaswamy works for the Middle District of North Carolina federal prosecutors. They’re office is located at 101 South Edgeworth St., 4th Floor, Greensboro, NC 27401, Phone no. of (336) 333-5351, fax no. of (336) 333-5357, and email address of anand.ramaswamy@usdoj.gov. Disclaimer: When you contact any of these people, you do so at your own risk, that we cannot be held responsible for the conduct and attitude that anybody has towards contacting including by emailing, mailing, or even faxing them in any way. All messages and contact with any of the contacts within this post must be legal and lawful. Any criminal behavior will be prosecuted by any respective law enforcement and we will not be held liable for what you decide to do with any of this information. We present this information to be informative, to prevent secret Government, to stop criminal behavior inside of any and all Government agencies and offices, and to maintain the integrity and Constitutionality of all Federal, State, and Local governing agencies and offices. We will not conduct criminal behavior such as threats, attacks, anything of that nature. We ask that you do not do anything criminal regarding any content we release on this whole website blog. Committing crimes over our information may lead to censorship of this website and our acceleration towards a 1984 George Orwellian police state thought crime on truth. Truth is not a crime, and this website is completely legal under the 1st Amendment of the United States Constitution. We operate legally and with no criminal intent. We only want the criminals inside the Department of Justice to be exposed to rebuild the integrity, fidelity, and bravery of our men and women of law enforcement. Law Enforcement needs to follow and enforce the law and not to become corrupt. Any actions you take are at your own peril whatever actions and comment they may be as a result of reading this post and any post on this website blog. 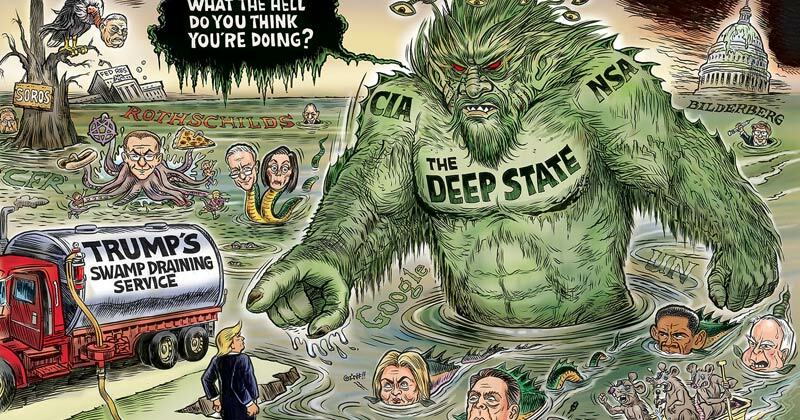 Pingback: LEAK: Docs regarding Greensboro, NC FBI shut down of perjury case, Wikileaks letter – I.A.M. Download the entire Court documents that have been archived and updated as of the most recent docket filings. To prevent cover up and censorship of court documents, you should download the compressed archive files containing all court documents. I also promise to do what I can for justice. Once Brian’s conviction is overturned with y0ur help, his case can be used for other Habeas Corpus petitioners also fighting to prove actual innocence. Documents we link to on our website is thanks to the RECAP program and CourtListener. Please donate to the RECAP programmers team so that court documents can continually be offered for free without pacer.gov access fees.